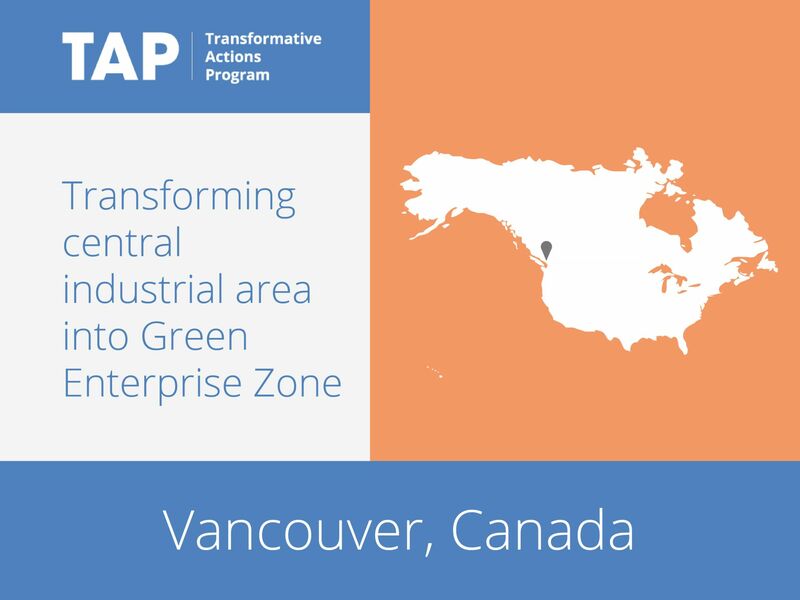 The Vancouver Economic Commission and the City of Vancouver are working with business, the regional government, community organizations and academic institutions to transform a central industrial and employment area into a showcase of clean technologies and innovative business models; a test bed for green buildings and resilient smart infrastructure; a hub for sustainability-related industries; and an opportunity to attract new investment. Activities include upgrades to existing infrastructure, development of recycling and upcycling stations and installation of a new neighborhood energy utility. The aim is to make the area the greenest place to work in the world while attracting new investment.